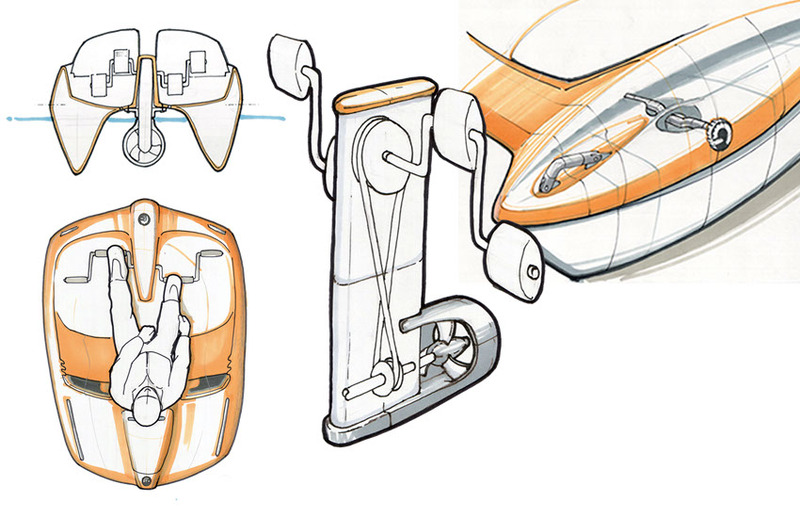 A series of concepts were developed for Bombardier Recreational Products (BRP). The focus of the project was to increase efficiency for the user. Using a new twin sheet vacuum-formed paddle boat construction inspired by catamarans and an innovative propulsion system, EDEY FX was responsible for creating various concepts for BRP. 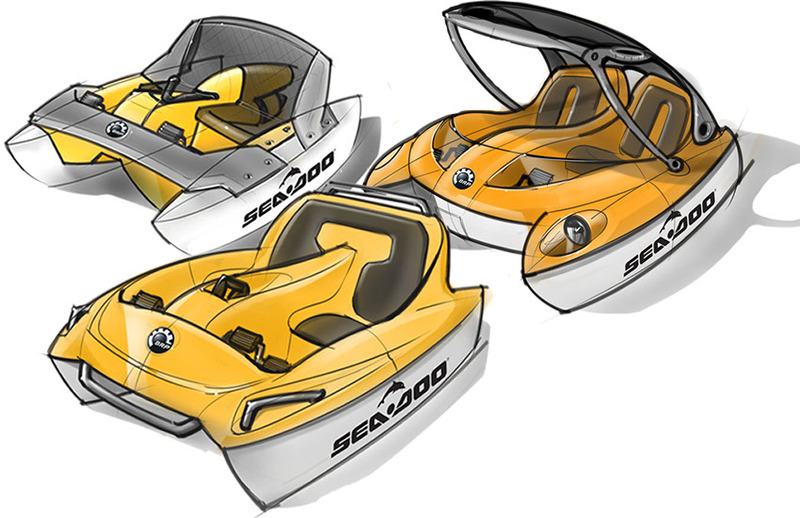 More detailed exploration of the new paddle boat concepts followed, focusing on the propulsion mechanism, and single person use-case versatility and how that would affect seating design.